Baked brie is nothing short of sublime. Top the warm, creamy, and delectably gooey cheese with a sweet fruit and nut compote, and this simple appetizer becomes totally transcendent. 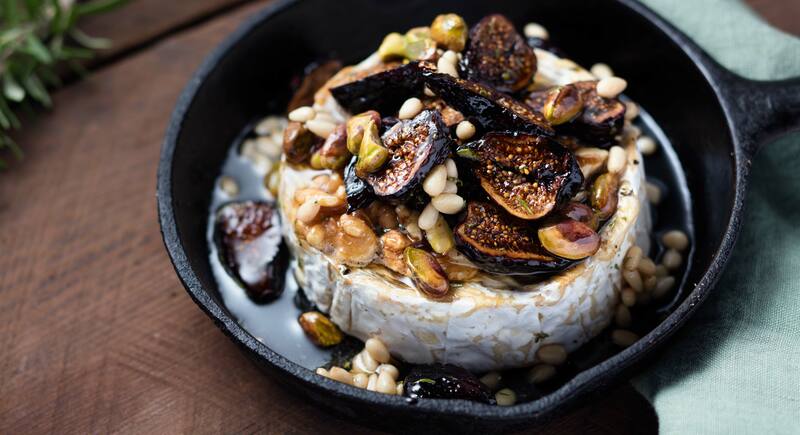 Place brie on a baking sheet lined with parchment paper or in a mini cast iron skillet. Bake until softened, about 10 to 13 minutes. 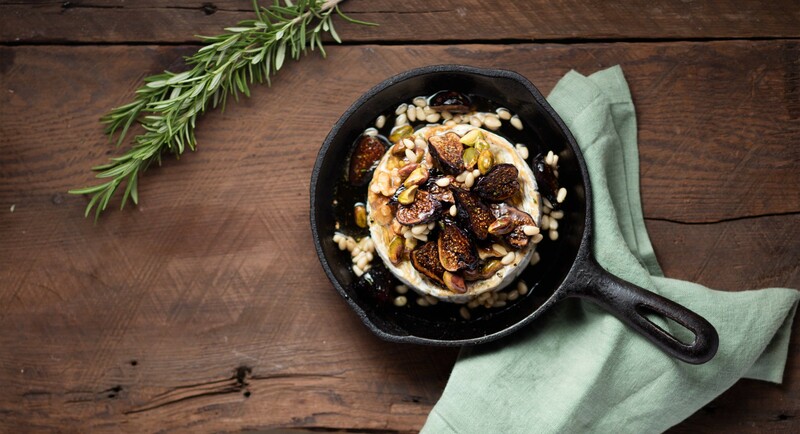 Meanwhile, in a small saucepan over medium heat, combine honey, chopped rosemary, lemon juice, walnuts, figs, pistachios, and pine nuts. Bring to a boil, stirring occasionally, then turn off heat. Spoon mixture over the baked brie. Serve immediately.